I first took a "character" class with Lisa Borders a few years ago at a wonderful writing organization called Grubstreet. I came away completely intrigued with her lucid and simple explanations of characterization. A read through of her fiction will endorse her characterization expertise. 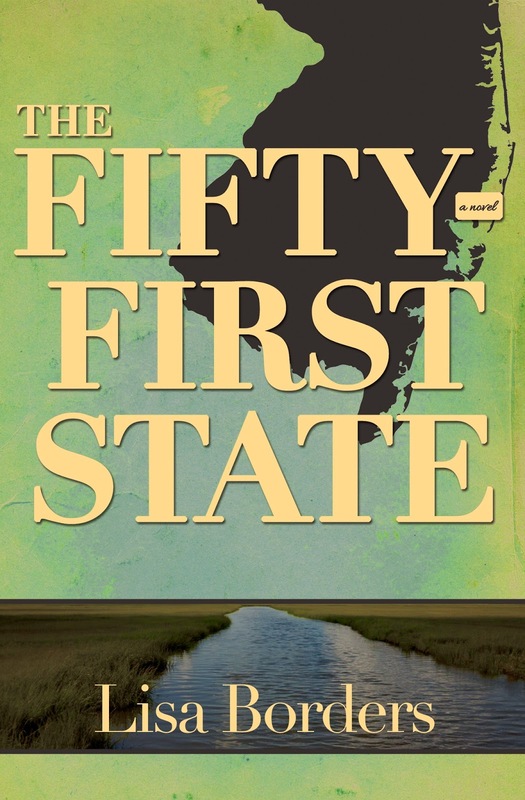 The characters in her fabulous second novel, The Fifty First State, are full of life and natural presence. One of the key characters in the novel, Ram, is South Asian, and Lisa's finesse is evident with this character as well. 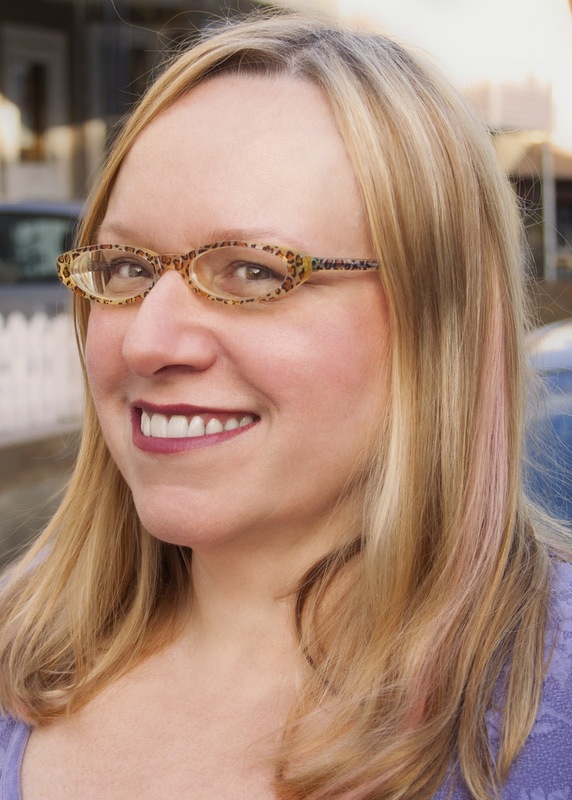 Lisa is an MA in Creative Writing from Temple University in Philadelphia. 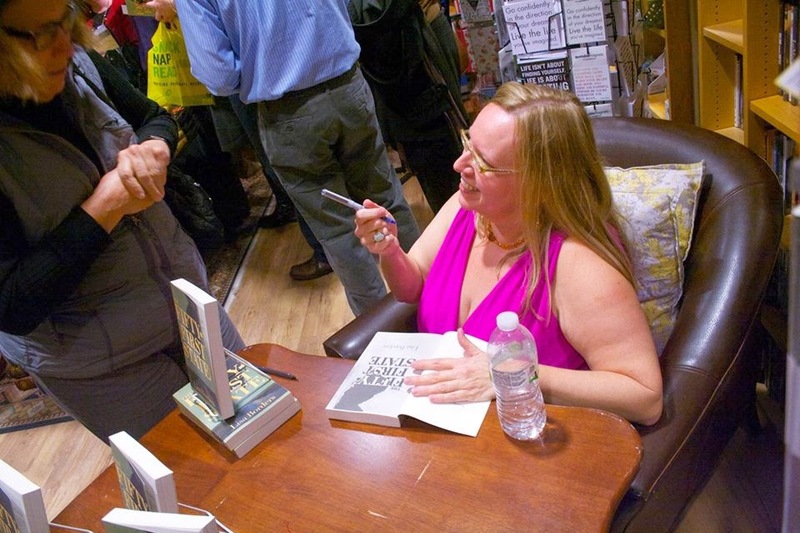 She is the author of two novels,The Fifty-First State and Cloud Cuckoo Land. Given her busy teaching, writing and current book promotion schedule, Suprose is honored that she set aside time for a Tête-à-Tête and answered all our questions so patiently! I resisted becoming a writer, at least professionally, for a very long time. I grew up in a family that considered artistic pursuits impractical, and because I was also strong in the sciences when I was in school, I was a biology major in college, with plans to become a veterinarian. I had always written from a very young age, and took creative writing workshops in college as electives, but it wasn’t until I took the GREs my senior year that I realized I didn’t want to apply for vet school. I wanted to write. I became a journalist at first because it seemed the most pragmatic way to be a writer, but eventually, my desire to write fiction took over. Why did you decide to use a South Asian character in your novel? I didn’t set out to have a South Asian character initially. There was a time when another character in my novel, Todd Schwegel, had the same function in the book as my Indian character, Ramesh Rao. But something wasn’t quite working with that version of Todd. I knew he felt very separate from the rest of the rural South Jersey town where he’d grown up, but as I’d initially written him, it didn’t quite make sense. I also had never been able to picture Todd the way I could picture my other characters. I had this very dramatic moment on a train ride from Boston to New York when I pictured my character wading out of a creek, and I saw that he was Indian. At first I resisted the idea, afraid I wouldn’t be able to write him convincingly. But the more I resisted it, the more I realized that the character had to be Indian. So I stopped struggling and started researching! Is this the first time you introduced a character with a non-American background? Please tell us about other ethnic characters you have introduced in your work. Many (possibly most) American writers are terrified to write outside of their own ethnicities, and I certainly share some of those fears. The backlash is huge for any writer who gets it wrong – and that backlash is usually quite justified, but it has a chilling effect on the imaginative life of many authors. It would be easier for me to just write white characters, I suppose, but I live in a diverse world, and my characters inhabit diverse worlds. So I’ve struggled with how best to represent that. The narrator of my first novel, Cloud Cuckoo Land, is a young woman named Miri Ortiz. I chickened out a bit in creating her, though: her father was Mexican, but she was raised by her mother and grandmother, who are not Latina. Ram in The Fifty-First State is the first ethnic character I’ve had the courage to really commit to. How does one go about understanding a new culture and the more subtle nuances of other societies when creating characters? Talking to – and reading books written by – members of that culture are two ways to understand those nuances, I think. Since my character is Indian-American, born in the States, I didn’t feel the need to go to India for research – though I’d love to visit one day! I’m always interested in the seeds of characters, and how chance utterances or encounters can plant those seeds. The crux of my understanding of Ram and his family comes from something a former boss of mine, a pathologist, once told me. He had been raised Hindu and vegetarian, in India, but when he went to medical school a Western diet was more in vogue. He’d continued eating meat out of convenience after he moved to the States. He’d told me this story in the context of my own vegetarianism; it intrigued me that he was raised with this moral code he still believed in, but wasn’t quite following. I decided that Ram’s parents, both doctors who moved to the States for medical school, would have started eating meat after they came over here. But their son, born in America, grew up and decided to embrace vegetarianism as well as environmentalism. I saw it as causing a strange tension and rift between them; Ram’s parents don’t disagree with his choices from a moral standpoint, but they are immigrants who want to blend in, and their son has chosen not only not to blend in, but to be a vocal activist. They are proud and slightly embarrassed at the same time, I think. There is a huge debate around using non-English terminology and having to explain that. What are your thoughts on using non-English words and the need to explain some of these terms when writing fiction for a mainstream American audience? This was a problem I didn’t face in my novel, since both of my narrators speak only English. When my character Hallie hears Ram’s parents speaking to him in Telugu, for example, Ram’s sister has to translate for her. But as a reader, I love it when authors use non-English words in such a way that I can figure out the meaning from the context. Junot Diaz does this masterfully in The Brief Wondrous Life of Oscar Wao. I don’t speak Spanish, and I don’t know the meanings of a lot of the words he uses, but I can figure most of it out from context, and it really doesn’t bother me that I don’t know exactly what every word means. I think non-English words are often necessary for authenticity, and I’d rather not have the narrative interrupted with definitions. What are some of your characterization pet peeves…. Things that writers should look for when developing strong characters in their work. The great E.M. Forster said, “The test of a round character is whether it is capable of surprising in a convincing way. If it never surprises, it is flat. If it does not convince, it is flat pretending to be round.” I think some writers fall into that “flat pretending to be round” trap by imposing a bunch of traits on a character but not thinking deeply about the character’s psychology and family background, about the reasons why a real person would have those traits. We are all full of contradictions, but those contradictions should make a certain sense for our individual psychologies. This conversation surrounding the need for an MFA in order to become a good writer. What are some of your thoughts on that? There are things one can learn from an MFA program, but how to be a good writer isn’t always one of them! To become a good writer, one needs to write regularly and read voraciously. There’s no magic, and no shortcut to the process. Studying writing – whether in an MFA program or at a center like Grub Street, where I teach – can certainly help, but I wouldn’t say it’s impossible to become a good writer without formal study. Feedback on a work in progress is vital, though that can be accomplished in many ways, not only in an MFA program. You read a lot of "wannabe" writer’s manuscripts. Can you list the top five common things that stand out in terms of the need for improvement. Not sure if I have five, but I’ll tell you the most common problem: a lack of tension. I see plenty of writing that’s superficially adept – strong sentences, perhaps even beautiful ones, and things are happening from a plot perspective – but nothing much is at stake for the characters. Tension and stakes are what keep readers turning the pages, and I think it’s a bit arrogant to expect someone to read a 300-page novel simply because the sentences are pretty or the dialogue is snappy. The reader needs more than that. The stakes don’t have to be life or death, but they should feel urgent to the character. Another common problem, especially among literary writers, is not having enough of a plot. These writers may have thought their characters out well enough to have a lot at stake for them, but no idea of how to get from Point A to Point B. If you feel like you’re meandering aimlessly as you write your draft, that will most likely be the reader’s experience as well. Time spent plotting a novel is time well spent – though for many writers, myself included, it’s not as much fun as other aspects of writing. Who are some of your favorite authors? Please list South Asian authors separately. Flannery O’Connor, Vladimir Nabokov, Lorrie Moore, Jim Crace, Aimee Bender, Toni Morrison, Jonathan Franzen, Edith Wharton, Charles Baxter, Louise Erdrich, Sherman Alexie, David Foster Wallace, Margaret Atwood, Willa Cather, Michael Cunningham, Isabel Allende, Tom Perrotta, Nick Hornby. To name a few! South Asian authors: Jhumpa Lahiri, Bharati Mukherjee, Salman Rushdie, Chitra Banerjee Divakaruni and Arundhati Roy. If I perused the books on your to-read stack, what would I find? There were a crazy number of great novels that came out in the past year or so, and I have a stack full of signed copies I can’t wait to read: Daphne Kalotay’s Sight Reading, Nan Cuba’s Body and Bread and Ellen Litman’s Mannequin Girl, to name a few. I’m also dying to get to Donna Tartt’s The Goldfinch and Rebecca Newberger Goldstein’s Plato at the Googleplex. Which are some well worn out books on your book shelf? Your go to books in times of anxiety and the need for inspiration. My Collected Works of Flannery O’Connor is about to fall apart, I’ve cracked it open so many times. Ditto Nabokov’s Pale Fire. And there’s this great collection of short stories by Laurie Colwin called The Lone Pilgrim. The title story in particular is one I reread when I’m feeling down. What are some things you do to overcome “writers block”? I don’t believe in writer’s block. I think sometimes life intrudes on writing time, but that’s very different from being “blocked.” Scheduling writing at times that work best for the individual writer (not necessarily the times the writing books say to do it) can be very helpful to those struggling to get work done. But if “writer’s block” means one’s brain is suddenly devoid of ideas, I really don’t understand that. How can that be the case if one still has a pulse? Would you recommend reading any specific authors, those whose works you believe have very strong characters…. Ones that young writers can learn characterization from? My go-to novels to teach characterization are Jonathan Franzen’s The Corrections and Elizabeth Strout’s Amy and Isabelle. Great, complex portraits of people in both of those books. But really, all the novelists I mentioned as my favorites are adept at creating convincing characters.